Once you got past all of the annoying ‘X weeks til Christmas’ articles appearing, there was a lot going on in the world this past week. We’re talking about Twitter’s updated policy, Snapchat’s new shopping feature, how Google Maps is changing the way we make plans, and the semi-shocking departure of Instagram’s co-founders. The move, described as “part of an ongoing effort to promote healthy conversations on Twitter”, will mean that a new clause is added to the Twitter Rules, stating that people cannot dehumanise anyone “based on membership in an identifiable group”. Dehumanisation is classed as language that treats people as less than human, such as “comparing groups to animals and viruses (animalistic), or reducing groups to their genitalia (mechanistic)”. These new conditions marry up with rules already in place around hate speech and racism, although the ban on dehumanising speech can apply to all groups – rather than just ‘specific protected classes’. Twitter has opened the move up to an open comment period, meaning that users who have thoughts or concerns have until the morning of October 9th to make their voice heard – with Twitter encouraging users to submit “examples of speech that contributes to a healthy conversation, but may violate this policy”. Find out more on the story and what it could mean for Twitter use at The Verge. This week sees an update to Google Maps for group users, involving being able to poll friends on where you’re going to eat within the Maps platform. First announced back in May at Google I/O, users will now be able to create a shortlist of restaurants or destinations and then create a vote between their friends – helping to streamline the process of making plans with groups of friends. According to The Verge, you can shortlist places by long-pressing on them and dragging them into a list, before inviting friends to view and vote. Google then keeps score of the votes through a ‘thumbs-up or thumbs-down’ system, or people can add their own new suggestions to the list if they’re not convinced. Many see this as an extension of some of the new Maps features we’ve already seen, such as the expansion of the For You tab – to include restaurants and places of interest for users. Keep an eye out for the new features now, or read more at The Verge. Are UK firms rushing to implement digital self-service tools? As a population, we’re becoming less and less fond of face to face interaction, and increasingly reliant on digital self-service functions like live chat to do what we need to do. However, a recent study by Calabrio found that in a rush to offer these services many businesses are failing to properly plan – and are therefore suffering in the long run. According to the stats, “44% of organisations say they offer four or more channels to communicate with their brand, but 58% admit they think their customers only use two or three”. This indicates either a lack of understanding around how their audience behaves or a misplaced effort on platforms and channels that actually aren’t proving valuable. Or both. Although almost all businesses understand that it’s important to provide a great customer experience across all company channels, prioritising the ones that mean most to the audience, only 45% think they actually do it well. The blockers? Not enough training across channels, a lack of skill regarding using customer data to inform decisions, and, of course, budget constraints. “As organisations deploy a myriad of digital channels to service their customers, the challenge becomes how do they leverage the big data available to deliver insights that are improving the overall customer experience & enhancing brand loyalty,” explains Kris McKenzie, Senior Vice President and General Manager for EMEA. Check out more of the stats over on Net Imperative. 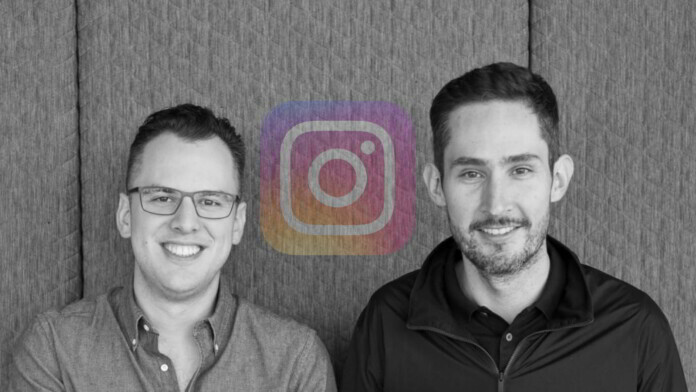 Kevin Systrom and Mike Krieger, better known as Instagram’s co-founders, hit the headlines this week after announcing that they will be leaving the company. Resigning from their positions as chief exec and chief technology officer, Systrom and Krieger cited their desire to ‘rediscover their creativity’ as the reason behind leaving. “Building new things requires that we step back, understand what inspires us and match that with what the world needs; that’s what we plan to do,” said Systrom. Some journalists have cited concerns that new Insta pet projects like IGTV, of which Systrom was leading the charge, and the upcoming standalone shopping app could now be scrapped without the backing of the founders. Perhaps we should’ve seen this coming. One expert said their fate was sealed the day they sold to Facebook – but for many, the move seems sudden, and sooner than expected. One thing’s for sure, if the duo does launch a new platform, it will have the full attention of Facebook – particularly as Instagram is Zuckerberg’s crown jewel. Read more on The Drum, or check out the analysis at The Verge. 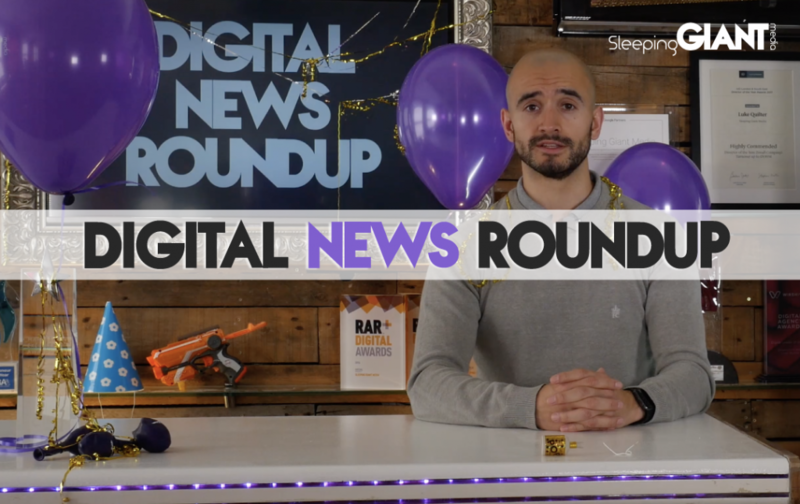 In the latest of the digital partnerships, Snapchat has now announced a collaboration with Amazon which will allow people to search for items within the social platform, before being able to buy them within the Amazon App. This feature will make use of the visual search tool already built into Snapchat. Now, the partnership will allow people to point their camera at a product or barcode before being shown a pop-up card from Amazon for that very item – or something similar. Currently, this is being tested on a small number of users in the US, so it’s unclear when, or if, we will see it here in the UK. Some have theorised that this continued e-commerce push is a way to placate investors and keep them engaged, particularly following the value of the platform falling since it’s over-hyped IPO. Others say it “builds on a longer line of e-commerce plays from the messaging app like its shoppable AR lenses” – potentially as a way to engage new audiences, or re-engage those who left following the controversial Snapchat update. Read more on the story at The Drum. 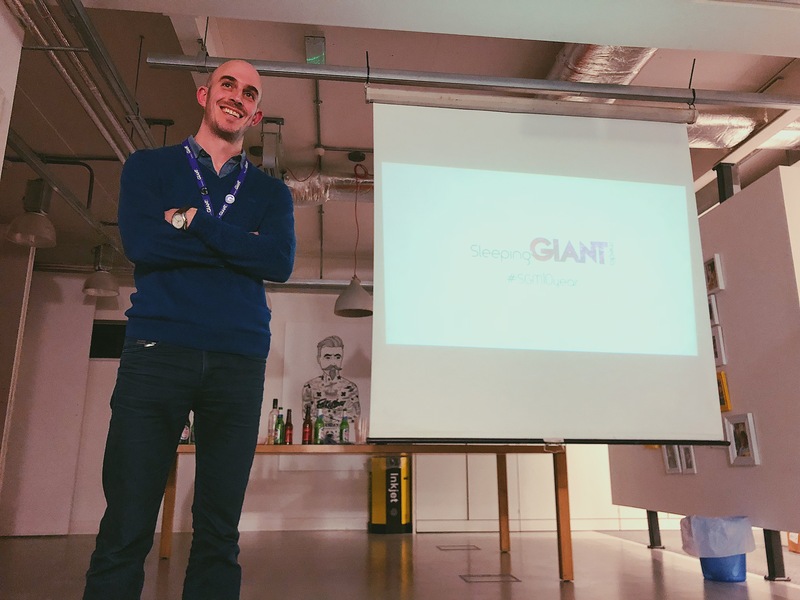 As you may have seen in the past couple of weeks, Sleeping Giant Media has recently celebrated its 10th birthday, and we thought what better way to mark the occasion than to head to Folkestone’s first Digital Meetup event and share a trip down memory lane with all of the attendees. So, on Wednesday 26th September, that’s what we did. Ant took to The Workshop in Folkestone to give a talk on “10 Years of SGM – 10 Key Moments”, alongside David Shaw from Business Computer Solutions, who discussed ‘’why retaining customers is the new acquisition’. The heart of Ant’s talk was advice, taken from the decade of experience that SGM has acquired. 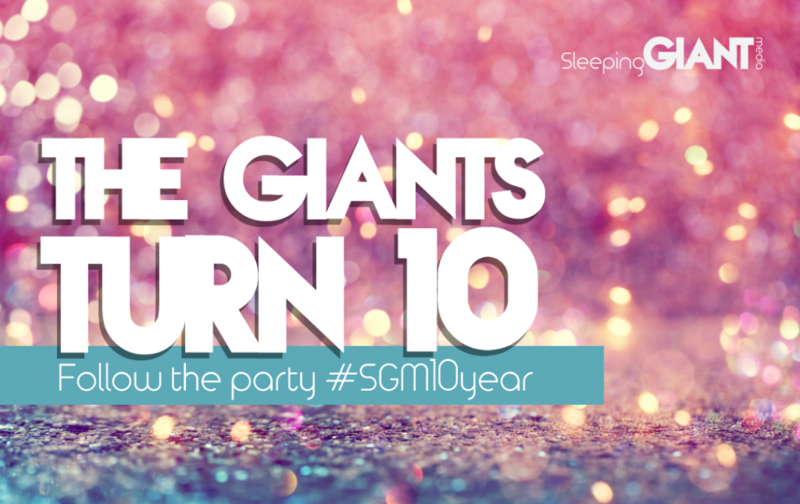 He told people to celebrate the wins – which for SGM meant everything from scaling up to a proper office to extra-curricular activities like summer parties and a trip to Ibiza; nailing the work/life balance. Ant explained that sometimes change is good, and we should embrace it in the spirit of growing and getting better. “It is important to recognise when you are not a start-up anymore,” he said – and in the meantime, there’s no harm in a little ‘faking it til you make it’. One thing’s for sure, we can’t wait for another hometown Digital Meetup to happen! Fancy some more light Friday reading? Check out our latest blogs, or head to our Twitter for more birthday content. Watch the headlines below with Shaun Staunton.